The College Oriental Basillien (COB), signed with White Mountain Technologies (WMT) to implement Skoolee and CMS. 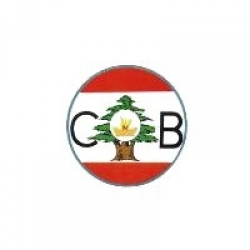 Located in Zahle, Lebanon, COB is owned and operated by the Basilian Chouerite Order. It was established in October 1898, and names prominent politicians, poets, educators, professionals, and practitioners among its alumni and staff. COB’s decision to implement Skoolee and CMS comes as an essential phase in its drive to update and foster its educational system while maintain a strong presence and continuity of its heritage. Skoolee, the school management and student information software, provides the essential tools for COB to manage teacher, student, parent, and guardian data, as well as registration, classes, courses, curricula, homework, grading, grade books, report cards, deliberation, transcripts, time tables, schedules, activities, facilities, and other school functions. CMS is the content management system that comes integrated with Skoolee or runs as stand-alone. It provides College Oriental Basillien with the practical platform to enhance its online presence via website, news releases, posts, calendars, and other means. CMS makes publishing and editing content quite handy, and allows an up-to-date online presence at all times. The school is in full control of the CMS, and can go ahead and publish content and add or edit web pages ad sections without coming back to WMT. Moreover, Skoolee can be hosted online or run locally. College Oriental Basillien opted to host Skoolee and CMS online through White Mountain Technologies. The hosting service that WMT offers ensures steady online presence in a protected and secure environment, relieving the school from the hassle of itself hosting the software, providing and maintaining the servers, setting up firewalls, and hiring personnel to take care of all of these tasks (burdens).